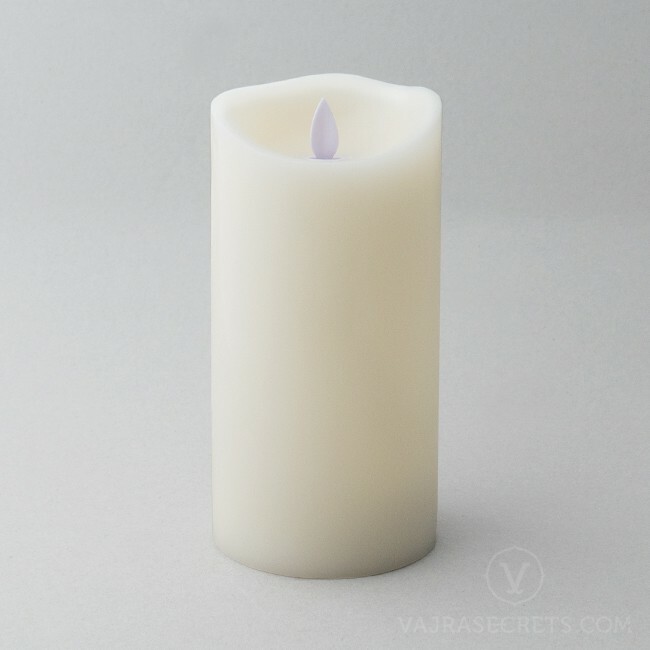 The Flameless Wax Pillar Candle combines the soft texture of real wax with the realistic flickering ambience of real candles. Soot and smoke-free, these battery-operated LED candles can be offered all-day on the altar without the risk of fire, mess, drips or spills. Requires two 1.5V 'C' batteries (batteries not included). It is unbelievable how energy-saving these candles are. I left my candles running 24 hours on two 'C' batteries and they lasted me approximately 3 months! I am so happy I can now offer lights to the Buddhas 24/7 without much hassle. I have cats at home and usually had to put out the real candles before heading out. 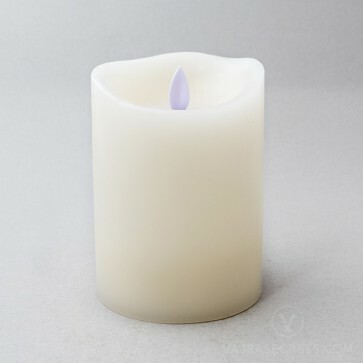 It is unbelievable how energy-saving these candles are. I left mine running 24 hours on two 'C' batteries and they lasted me approximately 3 months! I am so happy I can now offer lights to the Buddhas 24/7 without much hassle. I have cats at home and usually had to put out the real candles before heading out.